Do we really only get one shot at true love? In “Love, Rosie” -Rosie and Alex have been best friends since they were 5, so they couldn’t possibly be right for one another...or could they? When it comes to love, life and making the right choices, these two are their own worst enemies. One awkward turn at 18, one missed opportunity...and life sends them hurling in different directions. But somehow, across time, space and different continents, the tie that binds them cannot be undone – despite unwanted pregnancies, disastrous love affairs, marriage, infidelity and divorce. Will they find their way back to one another, or will it be too late? 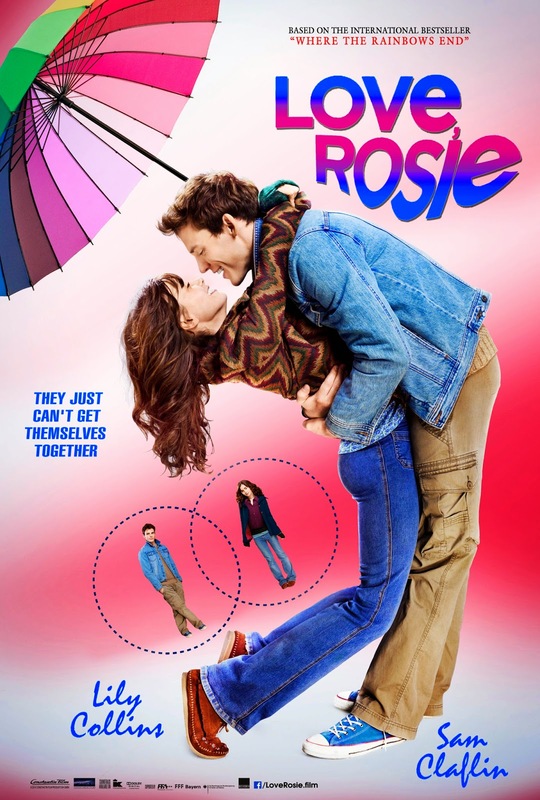 Based on Cecelia Ahern’s bestselling novel, “Where Rainbows End,” “Love, Rosie” is a sassy, heart-warming, and utterly modern comedy-of-errors tale. Director Christian Ditter adapts to film “Love, Rosie” where Lily Collins and Sam Claflin star as Rosie and Alex, childhood friends seemingly destined to be together, yet a couple which fate itself seems determined to keep apart. The film paints a rich and textured canvas of a complicated yet lifelong bond between Rosie and Alex, beginning in their childhood, spanning a trans-Atlantic separation, and enduring ups and downs of romantic liaisons with everyone but each other resulting in some bittersweet consequences. “The story is about two people who really have a deep love for each other, but are constantly being pulled apart,” explains acclaimed Irish author, Cecelia Ahern, whose novel, "Where Rainbows End", was the source material for the film. “I wrote "Where Rainbows End" a couple of months after I had finished "P.S. I Love You,” she says of the follow-up to her first novel, written when she was only 21 years old. “How do you adapt a book that’s all texts and emails,” says filmmaker Brooks of one of the project’s biggest challenges – the novel’s epistolary structure, composed around the emails, letters and text messages which Alex and Rosie exchange. “How do you make that into a movie?” Around the same time, Hollywood producer Robert Kulzer of Constantin Film, found himself in a bookstore back in his native Germany – a country, notably, where the Irish author has one of her most loyal followings. who takes more than a casual interest in Rosie. Love winds and finds ways - “Lovie, Rosie” opens January 8 in theatres from Pioneer Films.